OXFORD, Miss. 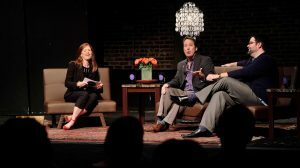 – An innovative interview series that brings music professionals to the University of Mississippi will offer students and Oxford residents a glimpse into the world of opera this week, as well as insights into the life and career of legendary diva Maria Callas. The Living Music Resource, an online video library of interviews with vocalists and composers, is bringing renowned performers Sandra Moon and Patricia O’Neill to Oxford for its “LMR Live” interview series, master classes for music students and a Saturday (Oct. 8) performance of “Master Class,” the Tony-winning play about Callas, at the UM Nutt Auditorium. The first event, an “LMR Live” interview with Moon and O’Neill, is set for 7:30 p.m. Thursday (Oct. 6) at the Powerhouse Community Arts Center. Nancy Maria Balach, a UM associate professor of music and creator of the Living Music Resource, will interview the artists for “Insight on Life: The Opera Singer,” using a live talk show format. The free event is co-sponsored by the Yoknapatawpha Arts Council. Moon, an acclaimed vocal teacher and performer, is an assistant professor of voice at Louisiana State University. She has performed with the Metropolitan Opera, New York City Opera, Florentine Opera, Cleveland Opera and many more in the U.S. and Europe. She taught for 26 years at a private studio in Germany and also has performed with Renee Fleming, America’s most prominent living opera singer. O’Neill, a professor emerita at LSU, has performed around the world with groups such as the Frankfurt Opera, Stuttgart Opera, Berlin Opera, Santa Fe Opera, Birmingham Civic Opera, Chicago Symphony, Utah Symphony, Louisiana Philharmonic and the Mormon Tabernacle Choir. She is a stage director for the LSU Opera Theatre and an expert on incorporating Alexander Technique, a process to realign posture to avoid muscular and mental tension, into performance. The “LMR Live” session will feature questions submitted by audience members and will be available on the LMR Live website. The production of “Master Class” is set for 7:30 p.m. Saturday, directed by O’Neill. The show, set during a fictional master class conducted by the acclaimed soprano Callas, features music by Giuseppe Verdi, Giacomo Puccini and Vincenzo Bellini. 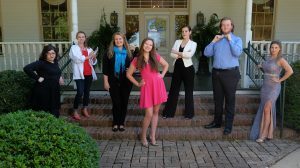 The play will be performed by Moon, Balach and the LMR “Dream Team,” composed of UM music students Cody Arthur, Melanie Culhane, Lacey Hindman, Faith Janicki, Olivia Sanders, Hadassah Strong. Tickets are $5 for UM students and $10 for general admission through the Ole Miss Box Office or at the door. To purchase tickets in advance, go to http://olemissboxoffice.com/ or call 662-915-7411. Moon also will work with UM voice majors on a “Between the Bar Lines” master class at 1 p.m. Friday (Oct. 7) in Nutt Auditorium. This week’s events are special to Balach because one of her voice teachers studied with Callas, creating a line from Callas through Balach to her own students. Balach said she also is excited to create opportunities for UM alumni to share their talents and emerging careers with the Oxford community.